So you want to know my absolute favorite thing about this blog? Not only has blogging helped me discover oodles of fantastic books, but it’s helped me become aware of the large and thriving book community right around where I live. 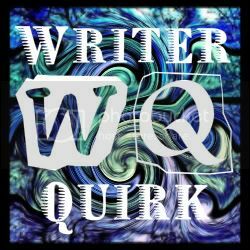 A community that includes published authors, soon-to-be-published writers, agented writers, non-agented writers, bloggers, and everything in between. A little over a year ago, I had never heard of Myra McEntire. Since then, I’ve discovered her fabulous books, but more importantly, I’ve gotten to know her, and she’s become a wonderful friend. Next week, the last book in Myra’s Hourglass trilogy, Infinityglass, will hit shelves, and I’m so, so excited for you to read it. This review is going to be a little different from my usual, because I actually had the privilege of beta reading Infinityglass. So I can’t review it with complete objectivity, since I was so involved in the writing process. (Really, I just want to write READ IT READ IT NOW IT’S SO GOOD YOU’LL LOVE IT READ IT NOWWWWWW!) But I’m going to try my best. From the first few moments of Infinityglass, it’s clear that this is going to be a different sort of story from the first two books in the series. For one thing, as with Timepiece, we have a new narrator — but this time, there’s two of them, and one of them is someone we’ve never met. And for another thing, it moves out of Ivy Springs, Tennessee, to the bustling streets of New Orleans, Louisiana. The first voice we’re treated to in Infinityglass is the titular character herself, Hallie. Hallie’s different from the other female characters in the series; she’s bold, reckless, assertive, and a bit on the dangerous side. She also, like the other members of the Hourglass, has the time gene, giving her unique and uncanny abilities. However, Hallie’s grown up in a very different environment from the Hourglass folks we know and love, and her attitude about time genes, time rips, and her role in it all does not necessarily jive with what all the characters have believed and discovered in the first two books. Enter the second narrator, Dune. Unlike Hallie, Dune is a character first introduced in Hourglass, but he’s always remained a secondary character, his powers explained, but not explored. In Infinityglass, Dune finally gets his chance to shine. He goes to New Orleans as an expert on the Infinityglass, tasked with figuring out the best way to handle “it” now that they know “it” is a “her.” Now, I liked Michael, and I loved Kaleb — and I know many of you did too — but Dune is not either of them. He’s his own person, strong and quiet, intelligent, analytical, and haunted by a few demons of his own. One of my favorite things about this series is the diverse cast of characters (both in personality and heritage), and all the different ways a person can be strong and complex. And of course, in true Hourglass series style, there are swoons and kisses galore throughout the book, both from our favorite established couples, and from a sizzling new pairing. Together, Dune and Hallie try to puzzle out what it means for Hallie to be the Infinityglass, both for her personally, and for the world as a whole, which is still being flooded with ever-intensifying time rips. Meanwhile, the nefarious Jack Landers is still at large, along with Teague, the head of the anti-Hourglass organization Chronos, who wishes to use the Infinityglass for her own, undoubtedly villainous, purposes. The more Dune and Hallie learn about the Infinityglass and Chronos, and Hallie discovers about her frightening abilities, the more it becomes clear that they’re going to need help from the rest of the Hourglass team. The book builds to an action-packed conclusion, allowing the key players from the first two books to return while keeping the spotlight firmly on this book’s two protagonists, Dune and Hallie. Questions posed throughout the series are answered, action is abundant, and it ends on a satisfying note full of promise for the future. Just like the first two books, it’s chock full of action, kissing, superpowers, witty banter, and pop culture references (including several Doctor Who nods — of course). I loved it, and I hope you do too. Welcome to another Top Ten Tuesday, hosted by our friends over at The Broke and the Bookish. This week, I’m mostly answering based on who the supporting characters in the story are, or what the world is like. Because if we’re switching places, I’m obviously not meeting that character. But I don’t necessarily (or at all) want to participate in their romances or conflicts. Just want to take a nice little trip to their fictional world. Also, you’ll notice there’s a conspicuous absence of period pieces, and the reason for that is simple: I really, really don’t want to wear a corset. Also, I imagine the bathroom and hygiene situation would kinda skeeve me out. “But, you put on your list…” SHHHH. I don’t want to hear it. My logic is not good, but it’s mine. Thomas, The Maze Runner, during one of his first days in the Maze. I want to meet Chuck and Minho, and I want to see the Glade. I do NOT want to go into the Maze, and you can’t make me. Buttercup, The Princess Bride, after the events of the story are over and they’re living out their happily-ever-after. I want to meet Inigo Montoya. And Westley and Fezzik. But mostly Inigo. Katniss, Mockingjay, sometime between the end and the epilogue. Mostly because I spent the entire trilogy thinking that Peeta needed a hug. Bella, Twilight. In this scenario, do the other characters know we’ve traded places, or do they assume I am the character I’ve switched with? Because for this to make sense, everyone would have to think I was Bella. Because my goal here would be to break up with Edward, then get on a plane to go live with Renee in Florida. Harry, Harry Potter and the Prisoner of Azkaban. I want to experience Hogwarts during one of the lighter years, and hang out with Ron and Hermione. And if I go during their third year, I’d get to meet Lupin. Score. Mr. Abshire, The Time Traveler’s Wife. On that day. You know. That day. I would tell Mark I didn’t feel very well and we were staying home, and then I’d stay in bed all day. Nate, Timepiece. I just want to live at the Hourglass and hang out with Em and Michael and Kaleb and Lily. ANY of the children, Miss Peregrine’s Home for Peculiar Children. Before all the shenanigans start, obviously. America, The Selection. I WANT TO BE A PRETTY PRINCESS. Also, Maxon is fun. Polly, The Magician’s Nephew. She gets to see SO MANY WORLDS. How many pools do you think I could jump in in 24 hours? So there’s a slightly disturbing glance into my thought process. Who would you trade with? Okay, my sincere apologies for the awful punnage in the title. I just couldn’t resist. I saw Myra once before, which was an amazing experience. But this time was a bit more intimate. Her husband and kids were there. She brought cupcakes. We pulled our chairs into a circle and talked about all sorts of stuff, some of it related to the Hourglass world, and much of it…not. 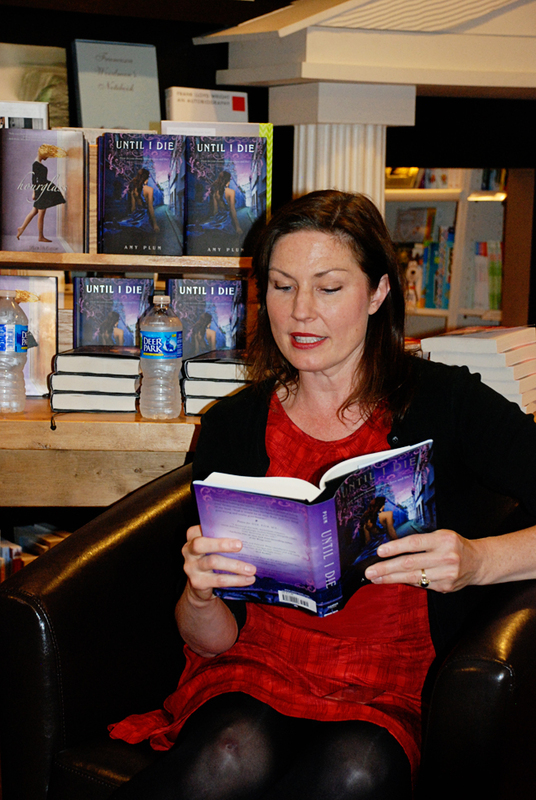 We discussed Kaleb and Lily and Michael and Emerson, to be sure, but also Vampire Diaries and dementia and 50…um, “Something” of “Something”…and whether or not we think Stephenie Meyer will ever write another book. I have nothing much new to report from Myra and the Hourglass crew, since most of what she was allowed to reveal was already discussed at the last signing. Or when I interviewed her. Or was something she wasn’t supposed to say, but accidentally let slip. So I’m not going to break confidence and report it. I am going to start a rumor that Myra’s next book is going to be about mermaids, based entirely on the fact that the cupcakes she brought were decorated with little cartoonish plastic sea creatures. I told her I was going to start this rumor, and she laughed at me, so I’ve decided to take this as confirmation that I am 100% CORRECT. You can take that to the bank. 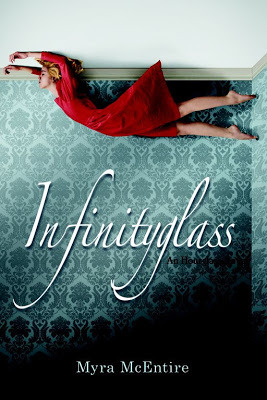 Um, the third book is going to be called Infinityglass. At least that much is true. But anyway, it was lots of fun. 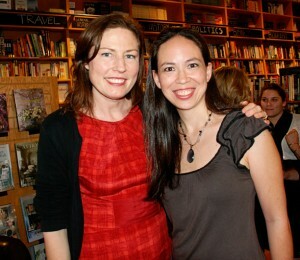 Myra held firm to her status as one of my absolute favorite authors/people I wish I could hang out with all the time. But I will settle for the occasional local author event. And she signed my book in a fancy glittery Sharpie. AND we re-took the picture my camera ate. So now I have proof that we have indeed met. 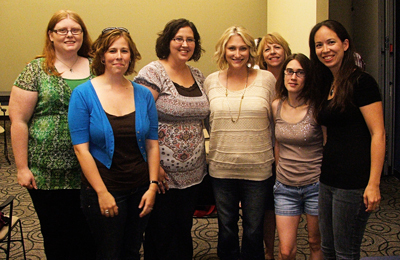 This event was also fun because I got to meet up with some other Southern bloggers again. 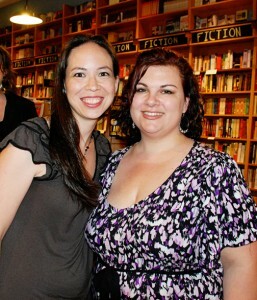 I had met Shalena from Writer Quirk and Marla from Starting the Next Chapter at the last event, and today I had the pleasure of meeting Shannon from Stalking the Bookshelves. I need to go to more events with Shannon. She introduced herself, then promptly pulled out a bag and started giving me presents. Seriously. This has never happened to me before. 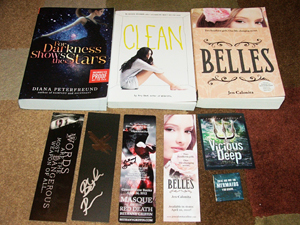 It was like meeting Santa, if Santa was tiny and female and gave out ARCs and swag. So that was pretty rad. After the signing (Myra and her family hurried out yelling something about Little League), Shannon, Shalena, Marla and I decided to go grab a late lunch/early dinner at Applebee’s before they all started their hour+ drives home and I braved my 15-minute drive. And at Applebee’s, our waiter was Paul. Okay, I’ve had bad service before. I’ve had waiters and waitresses who didn’t seem to care, who were rude, who were kind of dumb. I even had a racist waiter once, which was real pleasant. But Paul…well, Paul was different. First, it took Paul about half an hour to remember to stop by our table at all. So for the first 30 minutes of our Applebee’s experience, we couldn’t have told you that Paul was our waiter. Because he didn’t introduce himself. Then once he did decide to stop by, he acted like he had just noticed us. No mention of the fact that it took him forever to come to our table. I should probably mention that Applebee’s was mostly empty, and Paul had spent that 30 minutes waiting on the table right next to us. So I’m not sure how he didn’t see us. It was like we were rips. (Sorry, that was an Hourglass joke, to tie into the Myra signing). And when Paul introduced himself, we pretty quickly deduced that he was probably high. And I don’t mean high on life. and you disappeared into the kitchen. Your long absences made us nervous. Had you been smoking some grass…y? Or only refill one of our drinks. We were confused and nothing made sense. It was all part of the experience of Paul. As a waiter, quite frankly, you stink. Hence your tip of only eighteen cents. Ta-da! Obviously, if this blogging thing doesn’t work out, I have a very promising future in poetry. Paul aside, it was a fun day. I love having such awesome blogging friends that live relatively close. And actually, Paul doesn’t have to be aside. Paul’s service was so bad, it was kind of hilarious. And truthfully, Paul’s frequent mysterious absences gave us a lot more time to talk and laugh and get to know each other. Otherwise we would have left much sooner, to return home to husbands and children and responsibilities. But we couldn’t because Paul was holding us hostage, and our moral fortitude was keeping us from dining and dashing. So thanks, Paul. Thank you for making our Applebee’s experience extremely memorable, and for giving us something to look back on and laugh about. Extensively. And of course, thanks to the person who brought us together in the first place, Myra McEntire. For writing two amazing books. For being hilarious and fabulous to the extent that you make people want to drive multiple hours to hang out with you. And for picking a location really close to that Applebee’s, so that we could discover Paul. From about an hour after I started reading Hourglass, Myra McEntire’s debut novel, I knew I had discovered a new “favorite author.” And after finishing its sequel, Timepiece, it was confirmed: I must read anything and everything Myra McEntire writes. Immediately. 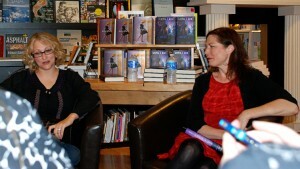 Then I was privileged to attend an author event with Myra and Amy Plum, and guys, Myra is hilarious. She had me (and the rest of the audience) in stitches most of the time. Sadly, my camera ate my picture of the two of us together, so I guess I’m just going to have to go to one of her future events to get another photo. Or I could do as my husband suggests and try to worm my way into her personal life since we live in the same city (His logic: “Don’t famous people have normal friends sometimes?”) but as I don’t actually want to be a crazy psycho-stalker, I’ll just continue to read her books and attend her events and bug her on Twitter. So as a treat for you today, and to celebrate the upcoming release of Timepiece (June 12, 2012! 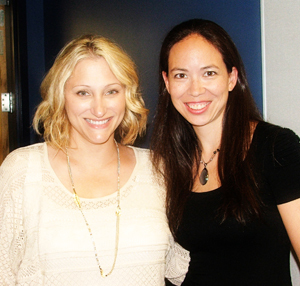 ), I have the joy of treating you to my interview with Myra! Yay! In it, we discuss Hourglass, Timepiece, her third book [which Myra recently announced will be titled Infinityglass], and random trivia about Myra. Enjoy! I think by now, we all know what your books are about. I’ve summarized and reviewed each book on my site, plus you go into detail on your site. 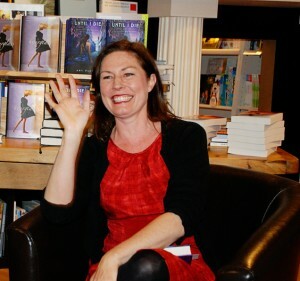 But if you wouldn’t mind, because I have a 6-year-old and I think 6-year-olds are hilarious, would you ask your 6-year-old to tell us what your books are about? How did you come up with the idea for Hourglass? I visited a writer’s group and had a really silly name prompt for a character. I wrote the required pages and thought it was over, but I had niggling questions that wouldn’t allow me to let the story go! How do you come up with names for your characters? And did you happen to name Emerson Cole after the character of Cole in The Sixth Sense (the kid who sees dead people)? Emerson is named after Ralph Waldo. You’ll see quotes from him at the beginning of my Hourglass books. And I did NOT, but I am stealing that idea now. Thank you. The plotlines for Hourglass and Timepiece are both really complex. How did you keep track of everything? I have multiple spiral notebooks, and I also do a lot of searching through my manuscripts on my computer. Kaleb has his own love interest in Timepiece (who I completely adored), but did you ever consider making a love triangle between Kaleb, Emerson, and Michael? The building blocks are there in Hourglass… (P.S. Thank you so much for not making it a love triangle). Kaleb and Emerson would give new meaning to the words “Hot Mess.” They were never intended for each other, and the person Kaleb ends up with was meant for him from the very first baby draft of Hourglass. Timepiece ends with a huge new development. What can you tell us about the next book? Will there be a new narrator? There are at least two or three more Hourglass books in my mind. They all have different voices. Always, but for publication since 2008. I went the traditional route. Wrote a book, polished it, and queried. What was your reaction when you got your book deal? Read, write and be stubborn. What’s your solution to writer’s block? Keep going. You can’t fix an empty page. 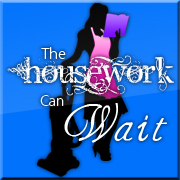 I also recommend routine tasks like folding laundry or doing dishes. What’s next for you after the Hourglass series comes to a close? You know, if that ever happens…which I kinda hope it doesn’t. I’m halfway finished with another project, and I’m totally in love with it. I can’t tell you anything else, except it’s very different! I love the pastureland. It’s so gorgeous on some of these country backroads! Right now, I just want the beach. Coffee. Oh wait. Sea salt dark chocolate. Favorite chick flick? Action movie? Tangled (I always stop and watch it), and X-Men. Favorite time travel story (that you didn’t write)? Any Doctor Who anytime anywhere. What are your 5 “desert island” books? Bible, Wizard of Oz, all the Harry Potters (obvs I’m taking more than five). Thanks so much for talking with me Myra! I can’t wait to purchase my copy of Timepiece, and I’m probably going to need therapy or something to help me get through the next year until Infinityglass is released. Yesterday afternoon, I headed up to Nashville for my first ever author event. I’m fortunate to live less than 30 minutes from Nashville and less than 5 minutes from a giant Barnes & Noble, so there’s author events galore around here, but I’ve never actually attended one. I guess I’ve been hanging out in my own little bubble of oblivion or something. But yesterday changed all that! 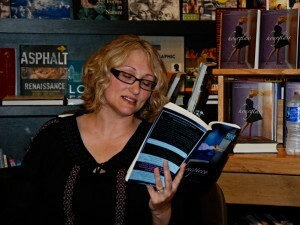 I got wind a couple weeks ago that there was going to be an event at Parnassus Books with Myra McEntire, Amy Plum and C.J. Redwine. At the time I learned about the event, I hadn’t read any of their books, but I had heard of them and was determined to be thoroughly educated by the time the event arrived! 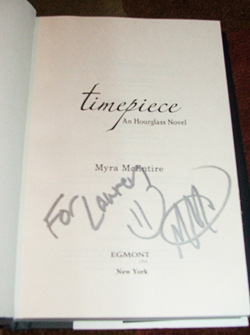 I read Hourglass and Timepiece by Myra McEntire first, and absolutely loooooooved them. Like seriously. Imagine I made a ridiculous face while saying that, because saying “I loved them” like a normal person just doesn’t do justice to the amount of happy feelings I had after finishing Timepiece. I read Die For Me by Amy Plum next, which I enjoyed. It didn’t rock my world, but it was a fun read and I was still excited to read its sequel, Until I Die. I was all set to buy a copy, when, lo and behold, I won one. Score! Only problem was, it wasn’t going to arrive in time for the signing. Drat! Oh well. Then, in an awesome and bizarre coincidence, I was able to get my hands on a copy of Defiance by C.J. Redwine just two days before the signing, and it blew me away. Seriously, it was amazingly good, and I’m so glad I was fortunate enough to read it now instead of having to wait until the end of August. So anyway. I was PREPARED for this signing. Before the signing, I met up with some other Tennessee book bloggers for an early dinner at Panera. It was my first time ever interacting in person with other bloggers, and it was a lot of fun. 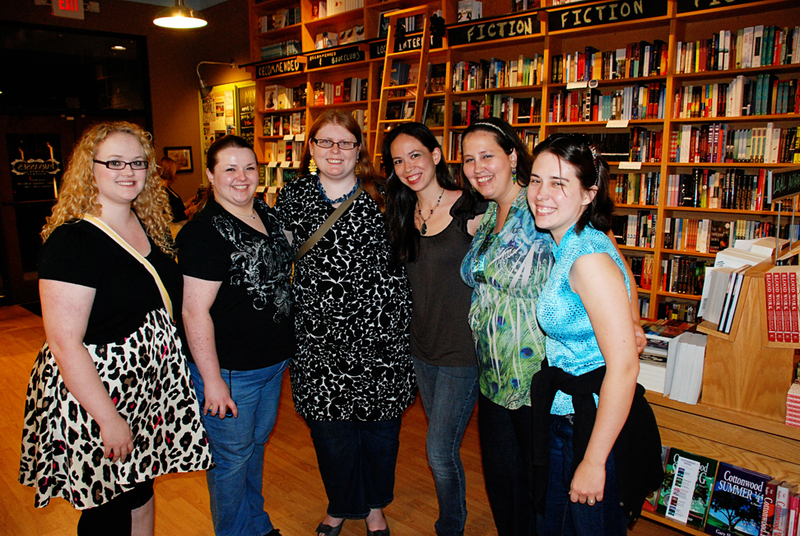 Represented were Marla from Starting the Next Chapter, Nikki from Books Most Wanted, Shalena from Writer Quirk, Hannah from The Book Vortex, and Megan from Myth-Illogical. And me. Duh. We headed back to Parnassus around 6, ready for the signing to start at 6:30. C.J. arrived first, and sat right behind us, since she wasn’t actually a participant in the event itself (probably because her book is still months away from release). We chatted for a few minutes and I may have incoherently gushed just a tad about how much I loved her book, and how I read it all on Mother’s Day, and how I nearly had a heart attack at one point. Amy and Myra arrived a few minutes prior to 6:30, grabbed some water, and got down to business. Pardon the shoulders. I was in the second row. And guys, I’ll admit it. I took notes. Copious notes. As I furtively glanced around, I noticed I was the only one taking notes, but I know me. I have the memory of a goldfish sometimes, and without notes, I would never remember anything they said. And I wouldn’t be able to tell you anything fun at all. But thanks to my extensive, copious notes, I can give you some fun details. First Amy introduced herself and told us a little about herself and her books. She knew she wanted to write a paranormal romance, so she made a list of all the paranormal creatures she could think of (vampires, unicorns, werewolves, etc. ), then stared at it and tried to decide which ones she wanted to write about. She eventually narrowed it down to two: zombies and gods. She then set out to take aspects of each and merge them into something new and interesting. Thus, the Revenants were created. She lives in France, and lived in Paris for five years. Specifically, she lived in Jules’ art studio. Then Myra took the floor for a couple minutes to introduce herself and her books. She started writing Hourglass in a writers’ club, where she was given a prompt that may-have-been-but-wasn’t-necessarily “Ann Dosseldorf.” She started writing based on this (dumb) prompt, and thus the first chapter of Hourglass was born. Most of the plot Hourglass was the result of her calling people up and asking “what if?” questions. 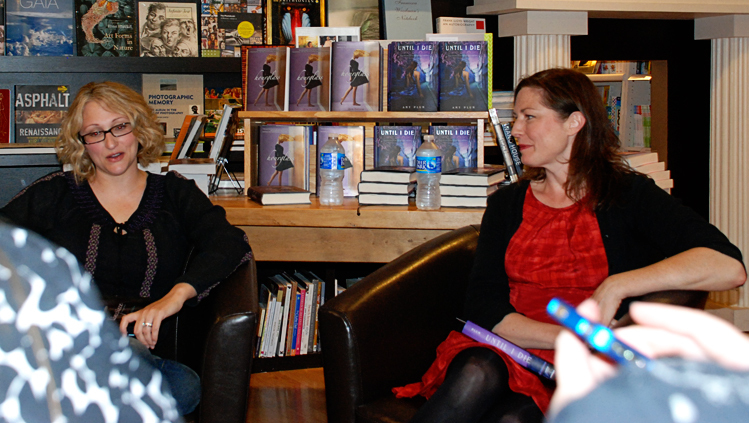 They then took turns reading from their latest books, Amy from Until I Die and Myra from Timepiece. Then the floor was opened up for Q&A. Here’s some highlights from each of them. When asked a question about whether or not there’s going to be another point-of-view change in the 3rd Hourglass book, Myra cryptically responded that there is no third book. Officially. And that we should maybe check her blog soon, maybe, because there could be something there, allegedly, about something. Maybe. Then I threw something at her. Okay, I didn’t, but I kind of wanted to. There MUST be a third Hourglass book! 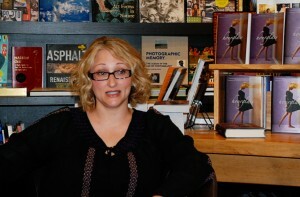 The original title for Hourglass was “Weaver,” which she admits sucked. The original name of The Hourglass was The Establishment, which is much less cool. She recommends that no one ever attempt to write a time travel book, ever. Including her. Because it’s just too hard and confusing. Emerson Cole was not named after the creepy kid in The Sixth Sense who sees dead people. But once I drew her attention to the connection, she said that from now on, she will say she named Emerson after him on purpose, and she will put an asterisk with my name by any mention of it, because that is a cool connection. I kind of hope she does. She doesn’t have a lot of time to read, and when she does, she prioritizes the writing of her crit [critique] partners, C.J. Redwine and Jodi Meadows. She also loves audio books. Her favorite characters to write are Emerson (because she wished she was more sarcastic as a teen) and Kaleb (because he is awesome). 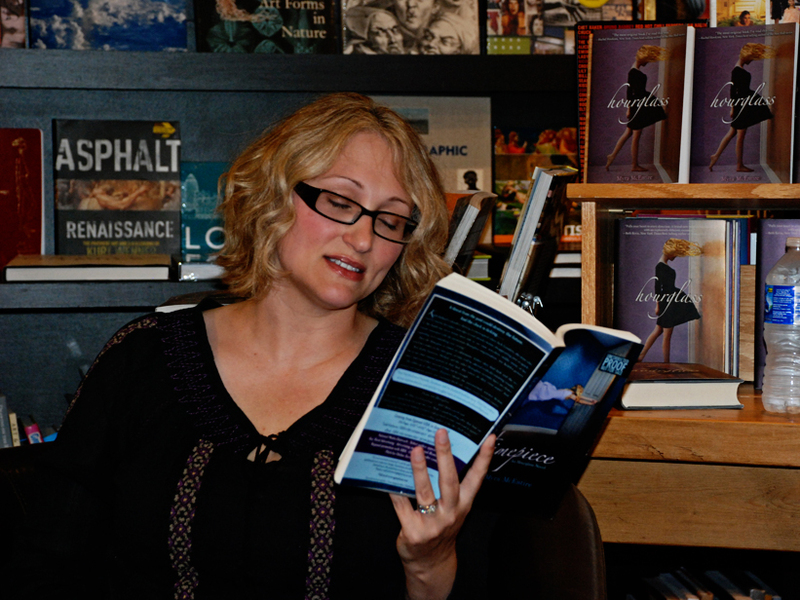 The most surreal part about her entire authoring experience was “everything.” Literally. The original title of Die For Me was “Sleepwalking,” which she loved but HarperTeen thought was too boring. So she suggested a bunch of other titles, which they rejected, and then they picked “Die For Me.” She likes it now. The third book is called If I Should Die. The first book she wrote, which has never seen the light of day, is a memoir of her first year in the French countryside entitled A Year In the Vines. She has to write sitting on her bed. She built an office to write in, and had to put a bed in it because she can’t write at a desk. She had 3 surreal moments as an author. The first was finishing her first book (A Year In the Vines). The second was when her beta reader told her she may have something with the first few chapters of Die For Me. And the third was when she was offered her book deal with HarperTeen and realized she was going to be able to quit her job teaching at a university in order to write. Her favorite characters to write are Kate and Georgia, but it’s hard for her to pick because she adores all her characters, even the villains. The first draft of Die For Me was a lot steamier because her beta reader was really into historical romance and kept telling her to dial it up. Most of the steamy additions were the first things to go during the editing process (much to Amy’s relief). The Q&A session ended on Myra’s words of wisdom, “Don’t be a nutbag.” I can’t really remember why she said it, I only remember that it was said. Well said, Myra. After the Q&A, they set up a table to sign stuff for us. I got my copies of Hourglass and Defiance signed, but didn’t have either of Amy’s books yet. Fortunately, I had contacted her on Twitter earlier in the day explaining that I was getting the books but they hadn’t arrived yet, and she told me she’d come prepared with bookplates for me. So she signed those instead, and they are ready and waiting for whenever my books arrive. “What did you do?” I asked her. “Who dies? Who dies?” But she wouldn’t tell me. So for those of you who have read it, if you are mad, Amy is sorry. I posed for pictures with all three authors, but for some reason my camera ate my picture with Myra. So now I’m going to have to stalk her and get another one. But at least I have pictures with C.J. and Amy! And BONUS: I do not look like a psycho. You have no idea how many pictures of me there are floating around the world where I look like a psycho. I don’t know what it is I do. I have like psycho eyes or something. But in these pictures, I look like a human! Huzzah! I will have to track down Myra at a future date to get a picture. She lives in Nashville, so surely there will be an event in the near-ish future where I can right my photographic wrongs. Aside from that one mishap (which I didn’t even realize until way after the event had ended), the event was so much fun. I’ll have to make it a point to go to more of these in the future! And then I went home and watched TV until 11:30, because I had really overdone it with the Dr. Pepper at Panera.